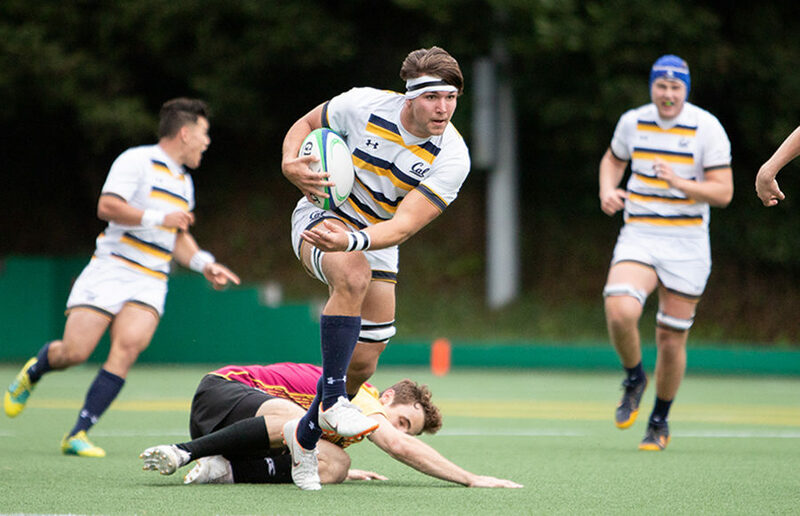 Cal was able to shake off its troubles, however, scoring five tries before halftime to take a lead it never relinquished. The winner of this match will advance to the national semifinals April 27, which will be played at Saint Mary’s Stadium in Moraga, California. Walsh led the way with 46 points coming from two tries and an incredible 18 for 21 in try conversions. Golla also had a game-high four tries. In the West bracket, Cal has faced and defeated second-seeded Saint Mary’s, fourth-seeded Arizona and sixth-seeded UCLA, along with UC Davis. A strong performance in the second half, however, led the Bears to a 29-19 victory to cap the regular season and head into the national collegiate postseason with a six-game winning streak. A big second half on both sides of the ball, however, carried the Bears to a 55-13 victory to clinch an undefeated record in the PAC rugby conference. The team is focused on returning to the national championship and can take an important step toward that goal in a 1 p.m. Saturday home matchup against an Arizona team that is undefeated in conference play and ranks 10th nationally. Cal (13-1, 3-0 Pac-12) had not lost any energy as it played its penultimate conference match during Homecoming weekend, thrashing Utah 118-0 in a Saturday afternoon matchup for Cal’s eighth shutout this season, and the team has still not allowed a point in conference play. During this year’s match, athletes from the Cal rugby national champion teams of 1994, 1999 and 2004 will receive special recognition for their 25th, 20th and 15th reunions, respectively. The Bears spread the wealth in terms of scoring, as 11 players found the try zone for the 13 tries, led by Webb’s two tries and five conversions and Shankland’s two tries.